TGIF! Friday feels extra amazing this week after enjoying last weekend's extra long hello to summer. Now I've got my eyes on the horizon and it's sandy with blue seas as far as the eye can see. 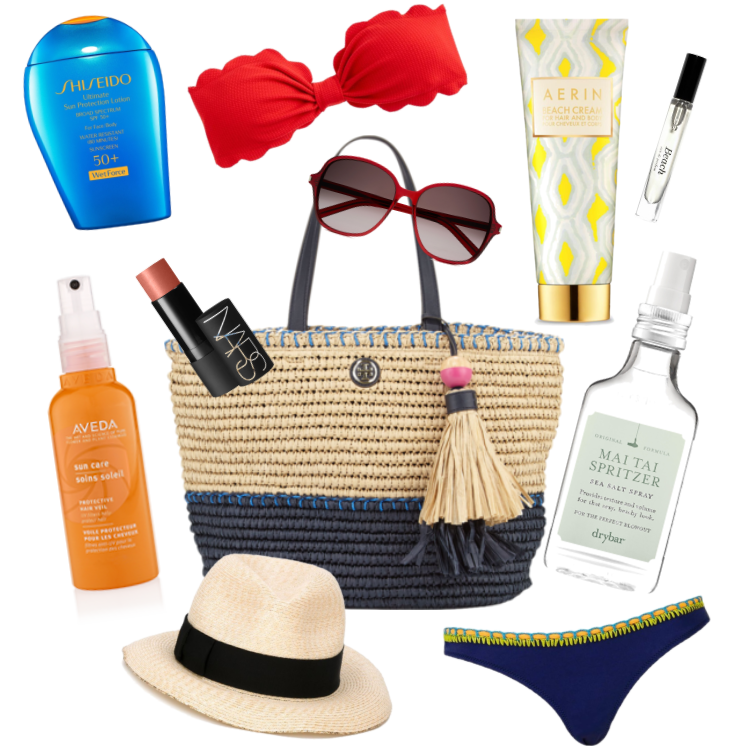 With that in mind, I've put together all my current summer essentials that I'll be tossing into my beach bag for long weekends and fun getaways. Number one on my list (always) is a really great sunscreen. This one by Shiseido has a high physical block, is water resistant and chockfull of skin beautifiers. While protecting your skin, don't forget your hair as well. Aveda's sun care spray keeps tresses shiny and hydrated with color in tact. I keep my skin silky smooth with a thirst quenching cream like this one by Aerin (plus it smells delicious!). NARS The Multiple is an amazing toss and go beach beauty must have as it works beautifully for lips, cheeks and eyes. 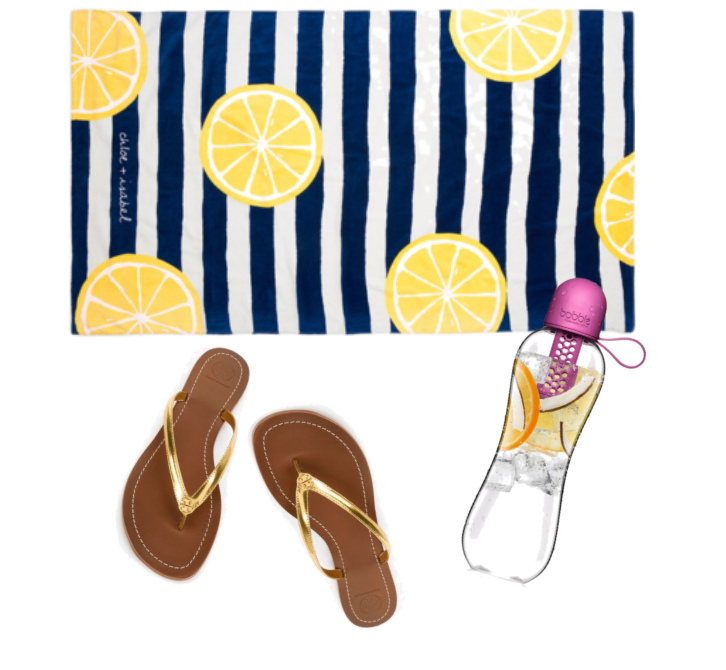 Finally, stay hydrated on the inside while looking lovely on the out with fruit infused water at your fingertips. I'm definitely ready to start the weekend…hope you are too. Have a great one!